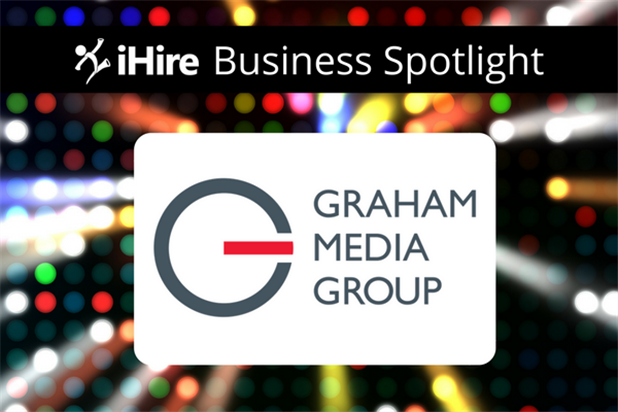 We are excited to shine the spotlight on Graham Media Group, Inc. (GMG)! GMG is THE authentic, accessible, local voice passionately informing and celebrating our communities. As a boutique media company, they own 7 TV stations in various top-70 markets across the country: KPRC in Houston (NBC affiliate), WDIV in Detroit (NBC affiliate), WKMG in Orlando (CBS affiliate), KSAT in San Antonio (ABC affiliate), WJXT/WCWJ in Jacksonville (Fully Local/CW affiliate), and WSLS in Roanoke (NBC affiliate). GMG has a strong presence in the digital realm as well, with Graham Digital providing services for each station in support of market-leading websites, mobile sites/apps, and podcast development, to name a few. GMG also owns Social News Desk, a leading provider of social media management tools that not only consolidates news for their newsrooms, but also allows newsrooms to track their progress in the media landscape. We recently caught up with Julie Dreixler, VP/Chief Human Resources Officer, to learn more about GMG’s company culture. Question: What makes your company culture unique? What makes GMG a great place to work for? JD: We are employee-focused, driven, and committed to a diverse workforce that celebrates unique perspectives, experiences, and viewpoints. GMG offers positions that allow for creativity, personal growth, and a whole lot of fun! We’re looking for high-energy individuals that are committed to working in a diverse, fast-paced environment that fosters respect, integrity, and a winning attitude. Question: What are the responsibilities of a VP/Chief Human Resources Officer at GMG? JD: I oversee recruiting, training, employee relations, compensation, and benefits for GMG in addition to working with leadership to develop GMG employees. In partnership with our local station HR professionals, we are looking for storytellers that want to weave the future with us. Question: What is your biggest hiring challenge? Question: How do you hope iHire will help you overcome those challenges? JD: We expect iHire to increase our exposure to job seekers and make us more accessible to qualified applicants that fit our culture and are interested in a long-term career with us. JD: Target the right audience through appropriate networks/applicable associations, schools (word of mouth/referrals), and job sites. Also, tell your story: What is the special sauce your company/job opportunity provides? Is your job posting enticing? How strong is your brand? What is the WIIFM (what's in it for me) for the job seeker? Job seekers: looking for a media career? Check out Graham Media Group’s open positions and apply today!